When a small-town cocktail-enthusiast decides to kill himself after being diagnosed with a terminal illness he must deal with the repercussion his choice has on his son and his community. Dr. John Matthewson: Now, the beta synchrotron sends the electrons through this magnet which bends the course of them down to the reaction vessel. Stay away from that elbow joint. All right. Bran, you want to get that? Now, this is a tunable excimer laser. It's tuned to the exact resonance of the plutonium-239 that's in the reaction vessel down at that end. Now, I think we're all set. Hit it. This review gives praise to an overlooked but deserving film. 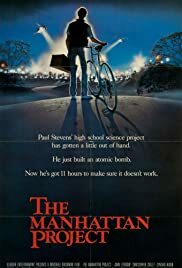 THE MANHATTAN PROJECT is a seriously underrated film. It's categorized and advertised as a "comedy," but in fact it's more accurately categorized as a dramatic thriller with light elements. 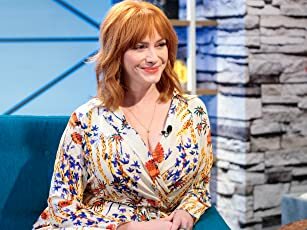 The problem is that anyone expecting to see a comedy will be disappointed because the film is not as funny as a "comedy" needs to be. That, I believe, is why it was not as popular at the box office as it deserved to be. However, the film is an extremely smart dramatic thriller, and anyone screening it with that expectation -- and knowing its main characters are extremely bright high school kids -- will not be disappointed. THE MANHATTAN PROJECT is not a perfect film, but it is an excellent one. 34 of 57 people found this review helpful. Was this review helpful to you?